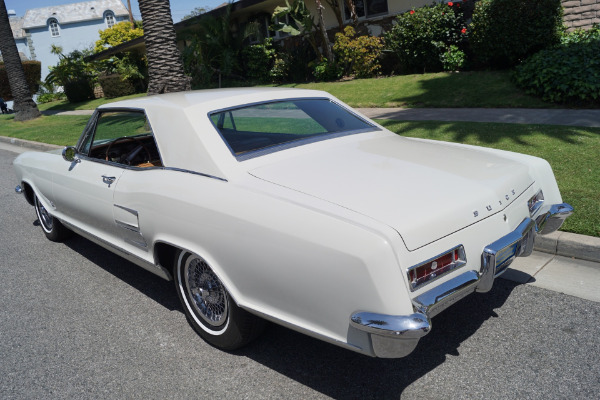 West Coast Classics are proud to present an absolutely exceptional example of this mostly all original and completely rust free 1963 Buick Riviera coupe with its original and highly desirable matching #'s 401/325HP 4 barrel 'JT' code 'Wildcat' engine finished in its original and very striking 'Desert Sand' color (R Code) paint with a deluxe interior of it's original 'Saddle' color leather (Trim code 798 ) front and rear bucket seats, (an option which Buick discontinued after 1963 as the leather seats had not proved too popular! 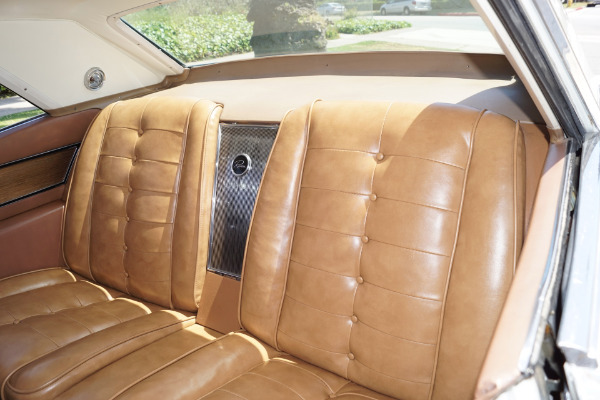 ), with a center console and console mounted transmission with a twin turbine Dynaflow automatic transmission, heater and defroster, smoking set with rear seat ashtrays, power steering, power brakes, electric clock, map light, automatic trunk light, lined luggage compartment, deep pile carpeting, dual exhausts, dual speed wipers with washers, deluxe steering wheel, deluxe wheel covers, backup lights and loaded with virtually every conceivable factory option apart from cruise control; added factory options include a deluxe 'Custom Leather' interior (as opposed to the 'Standard' or 'Custom Fabric/Vinyl Trim' option) with upgraded and distinctive appointments such as full length armrests and door latches for rear passengers, a wood veneer panel running the length of the door and quarter trim panels and with both front door panels featuring a round ornament with black background mounted in the center of the wood veneer with the name 'Riviera' appearing in script, air conditioning, soft-ray tinted glass, tilt wheel, power windows, rare automatic headlight on/off twilight sentinel, rare and desirable and awesome sounding dual trumpet horns mounted under the hood, very rare factory AM radio with power antenna and the very desirable optional wire wheel hubcaps! 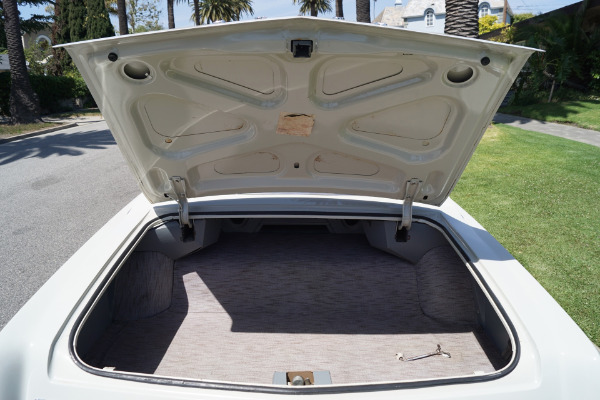 This is one mighty rare example with virtually every possible factory available options except power vent windows, cruise control & the rear window defroster! This is a beautiful example of a rare and very early production model car as evidenced from later production models by the smooth satin finish in the metal instrument panel and along to the glove compartment door, whereas the later models, after November 1962, featured a ribbed metal panel in a blatant copy of its rival the Thunderbird from Ford with its ribbed anodized aluminum trim on the console and side trim panels. It is also of note that these early model cars used a 120 mph speedometer, which was taken from the Electra, which was later replaced with a 140 mph unit unique to the Riviera. 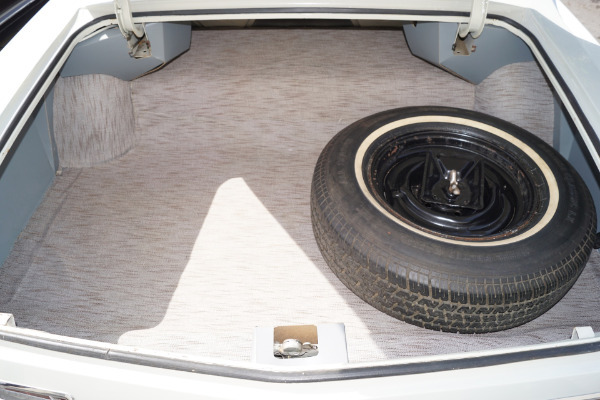 Also, the spare wheel was initially placed in the well of the trunk compartment which wasted space and made it difficult to load and unload items around it and this was later moved forward and mounted over the rear axle to provide more usable space. 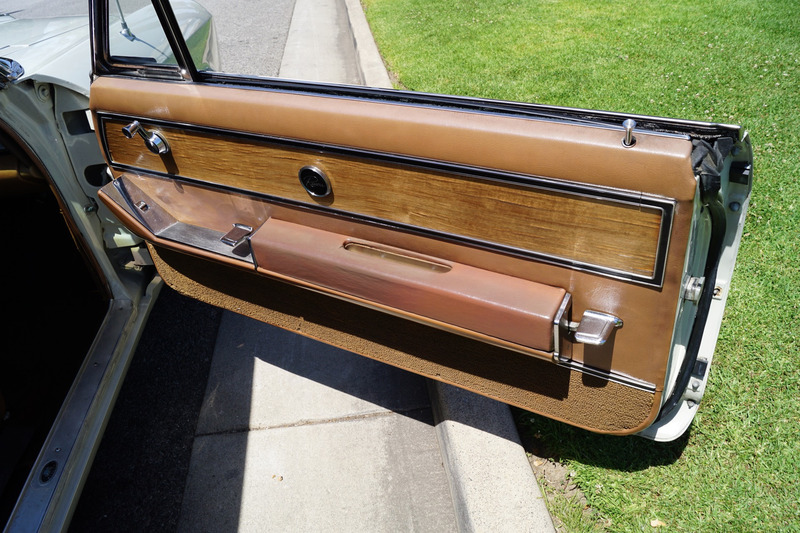 At the same time the rear view mirror on the drivers side was also moved forward, towards the front of the car to improve visibility. 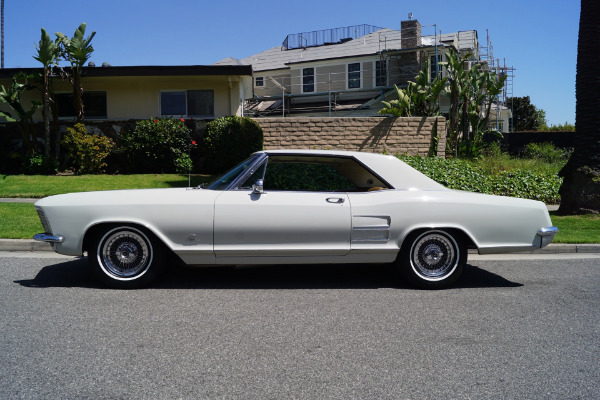 These differences make it easy to determine that this is indeed one of these very early and very desirable production models built prior to November 1962. 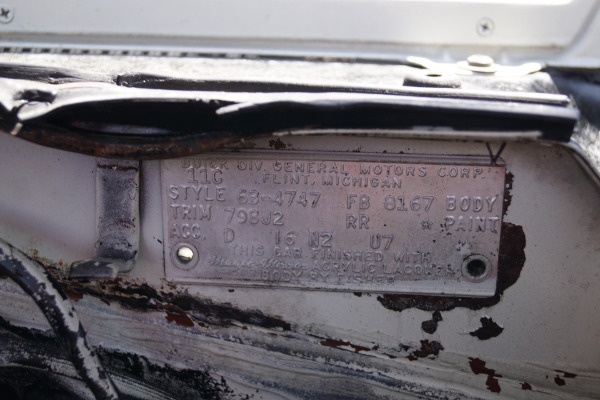 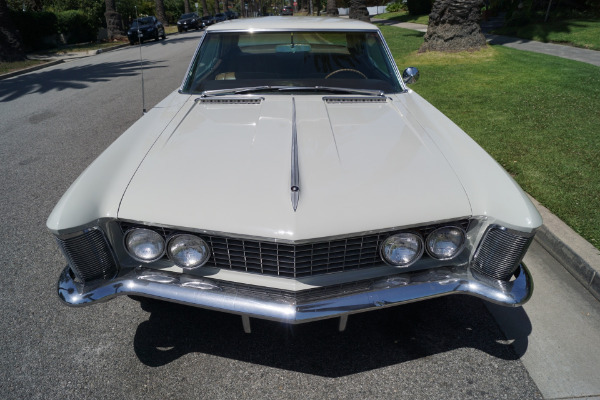 All 1963 models were also unique from later models with the Buick TriShield button featuring a black background used as a hood ornament and also on the wheel covers and tail light lenses too, in 1964 a stylized 'R' emblem would replace these areas instead. 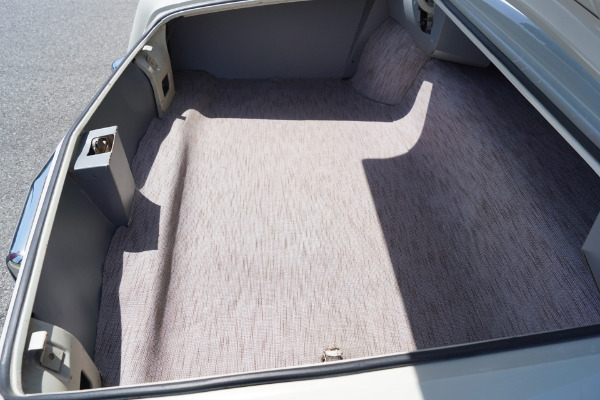 1963 was also the only year that the heater/defroster and optional air conditioning controls would be suspended under the center of the instrument panel pad. 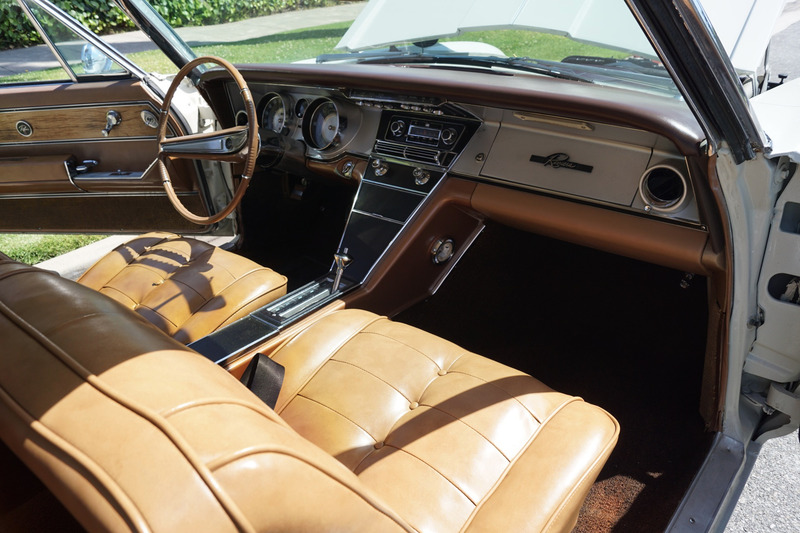 The design created a somewhat confusing array of push and pull control levers to direct air flow where desired and a simpler design appeared for 1964/5. 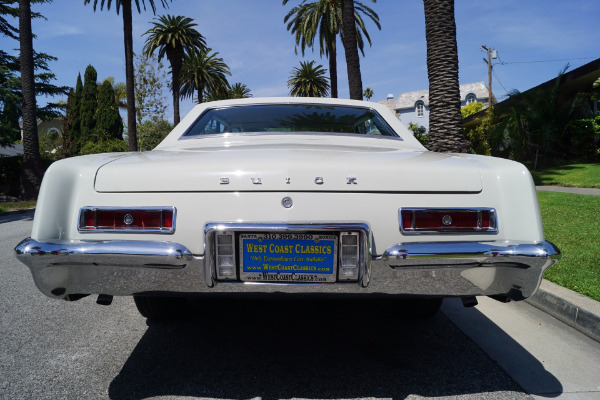 Also it is of note that Buick pioneered another industry first with the Riviera in 1963 - flush glass! 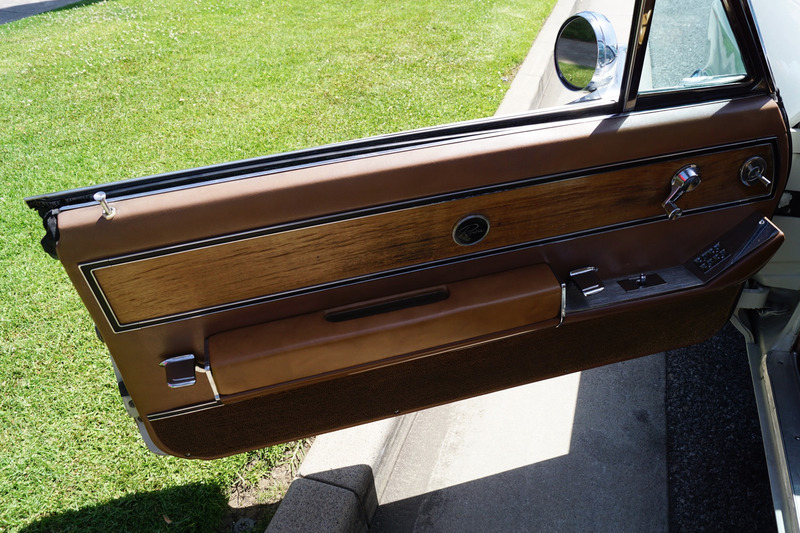 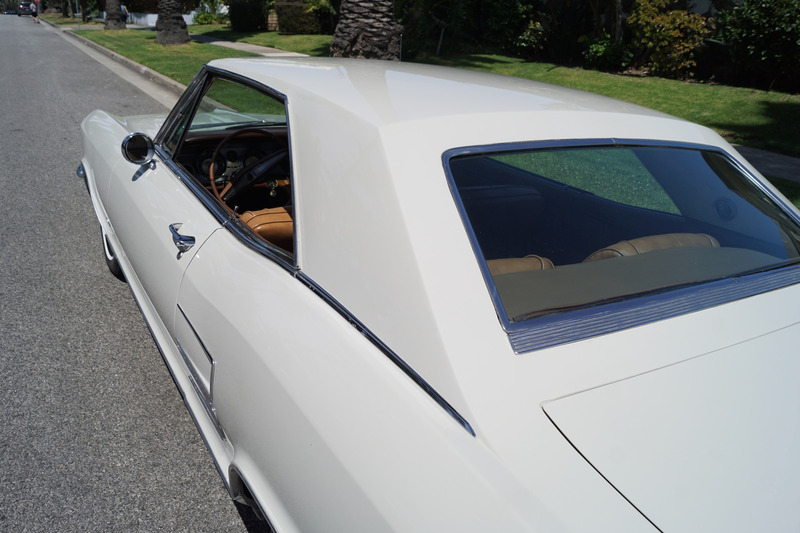 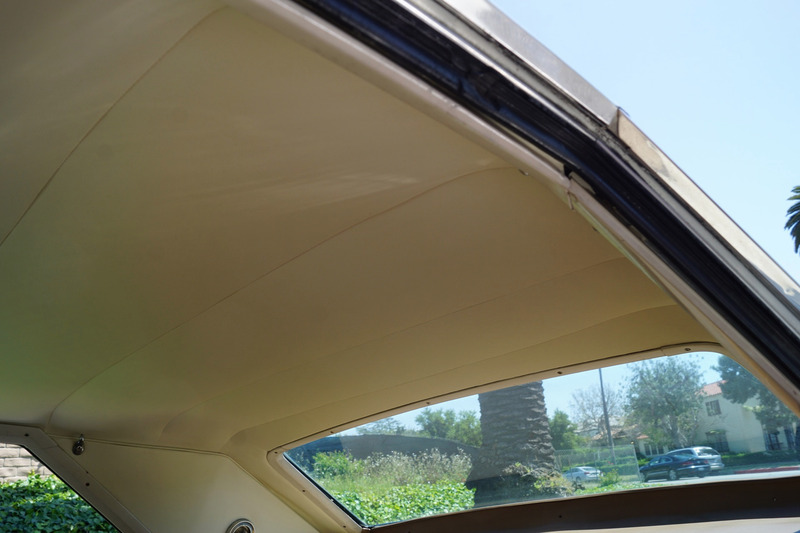 This was a unique new design in which the windscreen and rear window were sealed directly to the body allowing the glass to fit flush and thereby eliminating the bulky metal and rubber framework required on other automobiles! 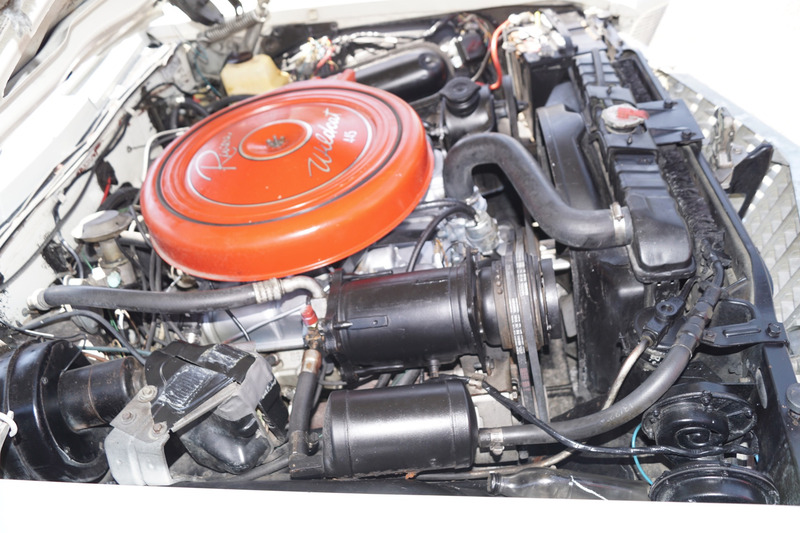 As previously stated, this particular example also boasts its original matching numbers 401/325HP JT code engine and transmission. 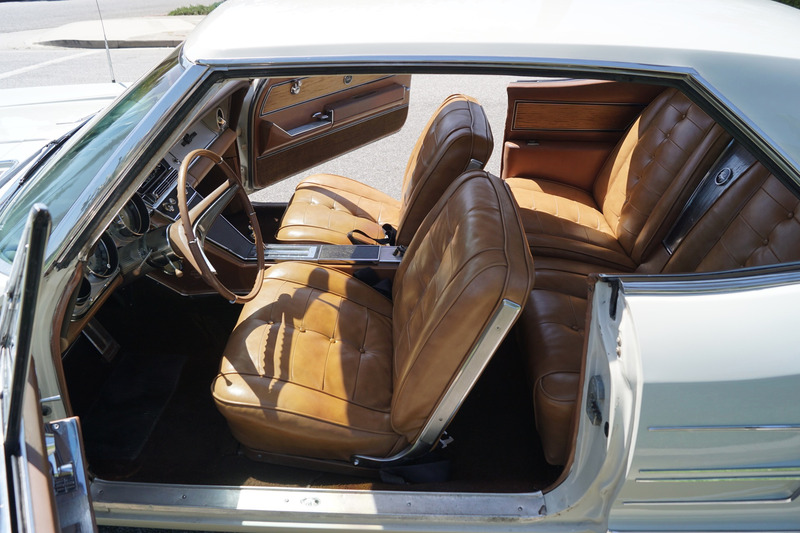 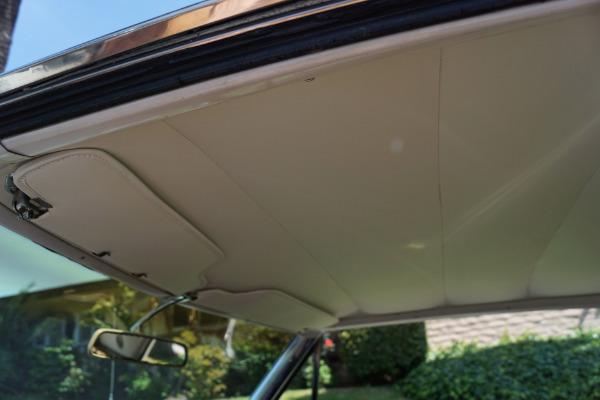 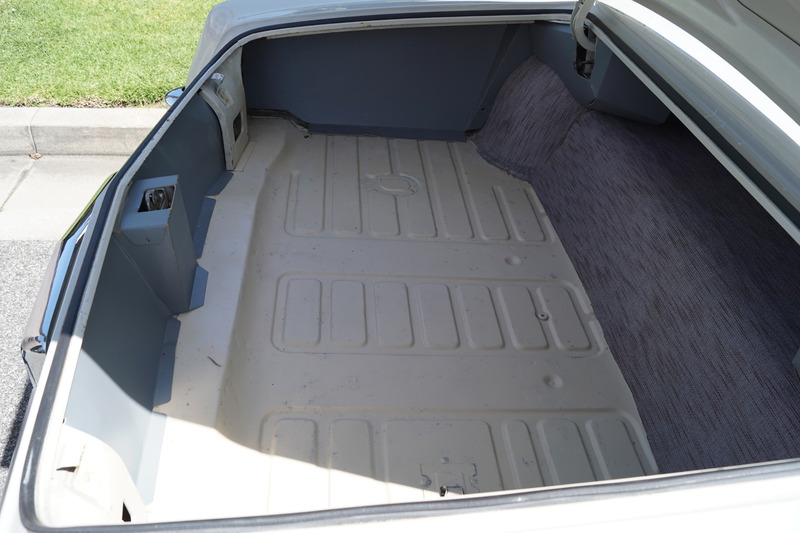 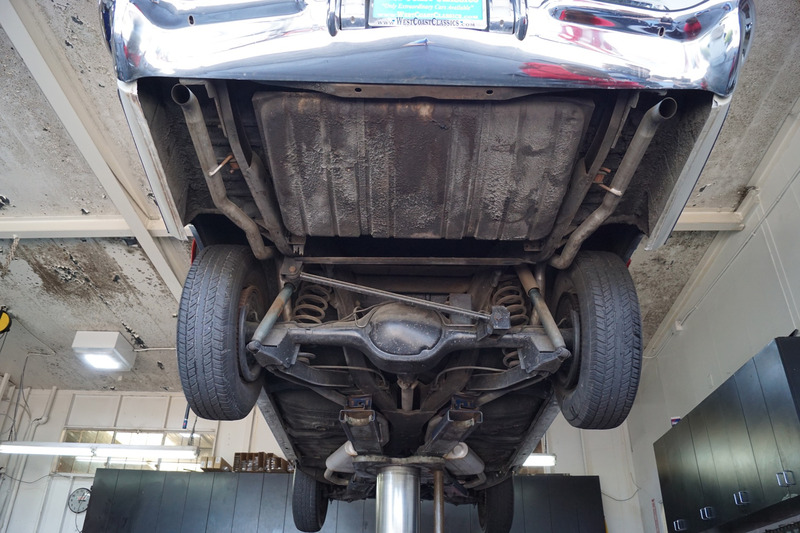 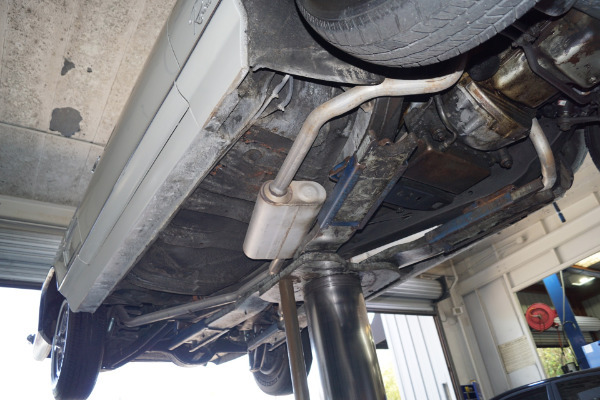 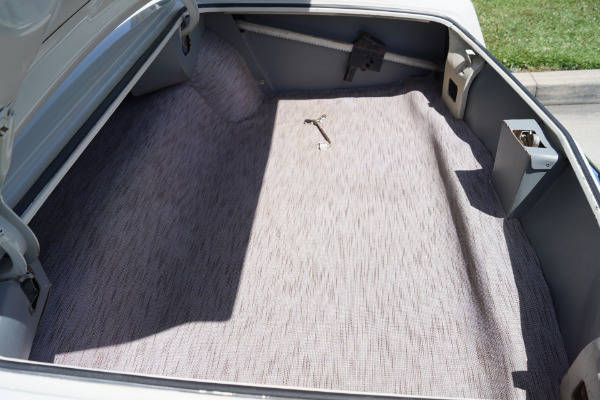 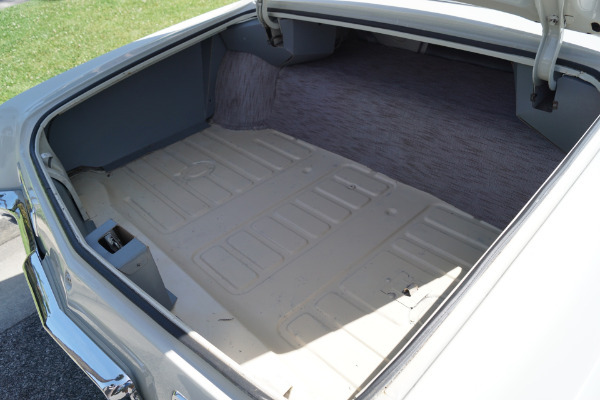 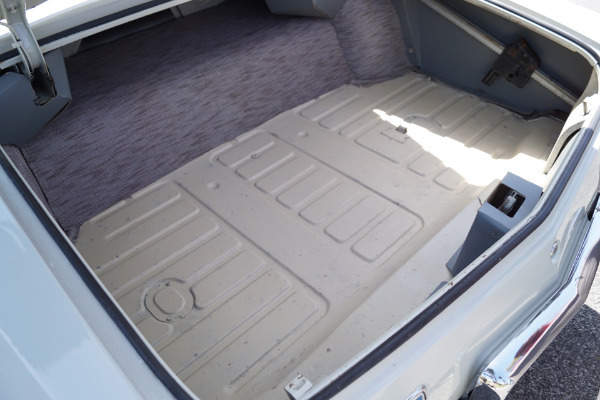 The floor boards, trunk and all the typical rust-prone areas are completely solid and rust-free and the car has no signs of any accidents or previous rust of any kind. 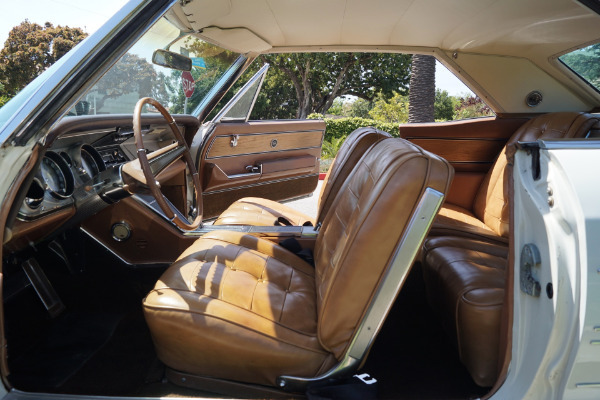 The car car has obviously always been garaged and looks extremely impressive with one very decent re-paint in it's original factory 'Desert Sand' color paint and the deluxe 'Saddle' leather interior with deluxe Custom factory trim is also absolutely gorgeous. 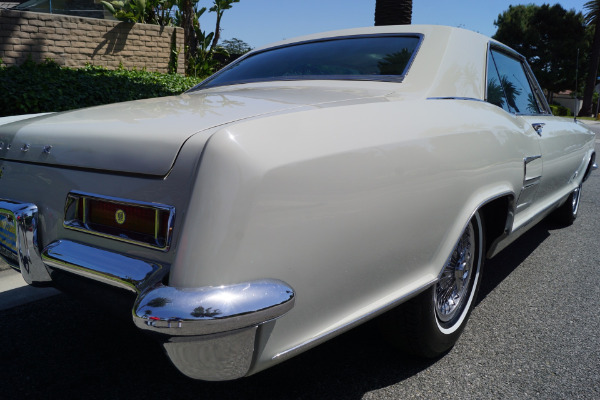 All the chromework is also in exceptional condition, as is all the weather stripping and seals and the car's spare wheel and jack is located in its correct place in the trunk. 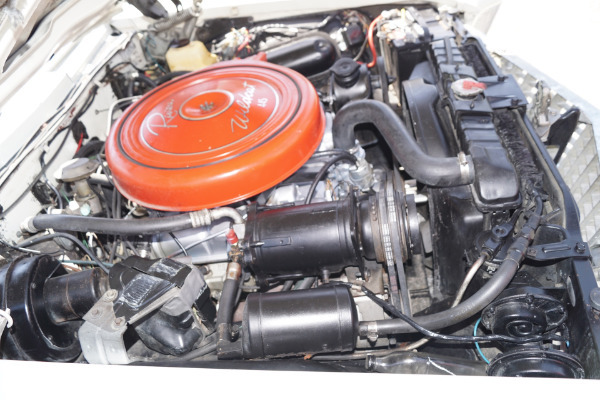 The original matching #'s 401/325HP JT code 'Wildcat' engine is extremely strong and powerful and this particular car drives absolutely magnificently - must be driven to be believed - drives straight as an arrow with no strange road wobbles, shakes or rattles - a truly remarkable daily driver that will give any modern day sports car a run for it's money! 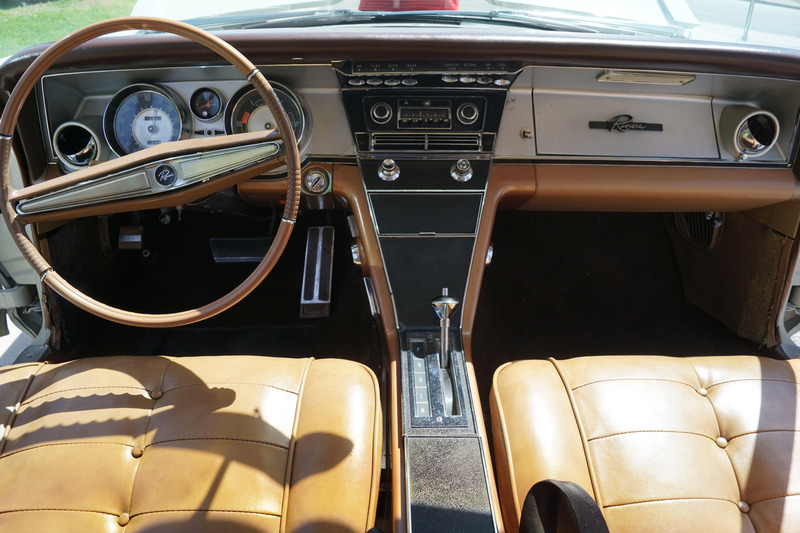 The transmission shifts smoothly through all the gears and the temperature always remains cool! 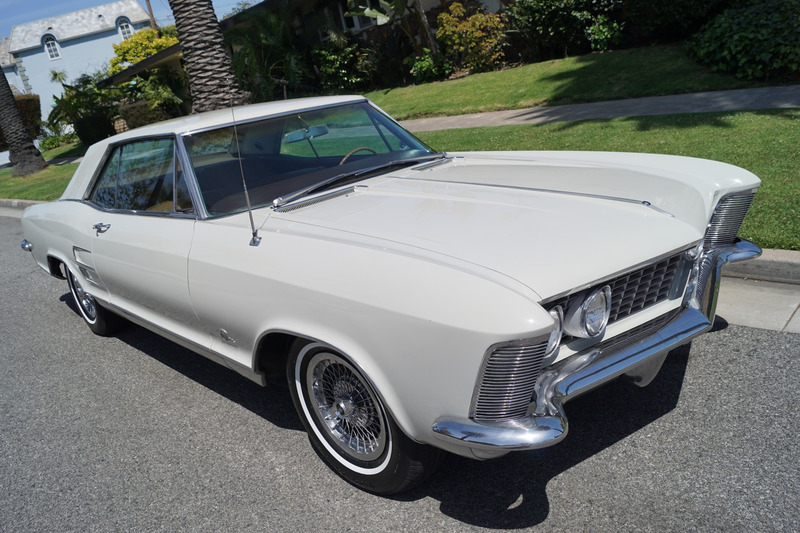 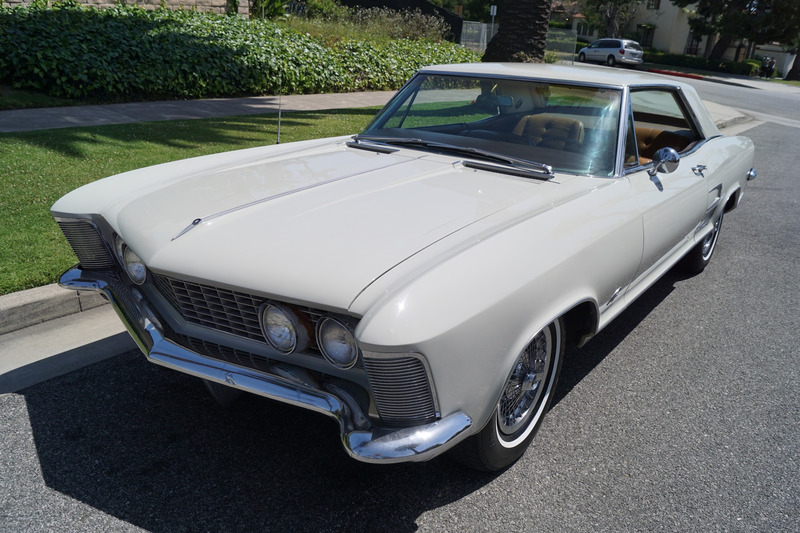 This is a rare opportunity to own a beautiful and great daily driving and obviously never abused example of an always rust free 1963 Buick Riviera in exceptional condition throughout and one highly desirable and very collectible example of one of the early year cars, a pre November1962 production model, this was one of the outstanding GM designs of the sixties, reflecting the styling supremo of Bill Mitchell with a masterful blend of curves and razor-edges, dubbed the anti-Thunderbird and respected by an army of industrial designers as an architectural landmark of the U.S industry and which has high repute amongst collectors for both it's beautiful lines and smooth fast performance for a luxury coupe. 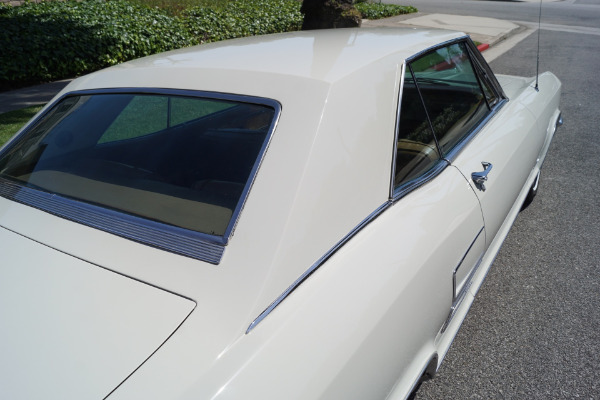 "One of the most beautiful cars America ever built" as stated by none other than Sergio Pininfarina of Ferrari design fame at it's debut at the Paris auto show in 1963. 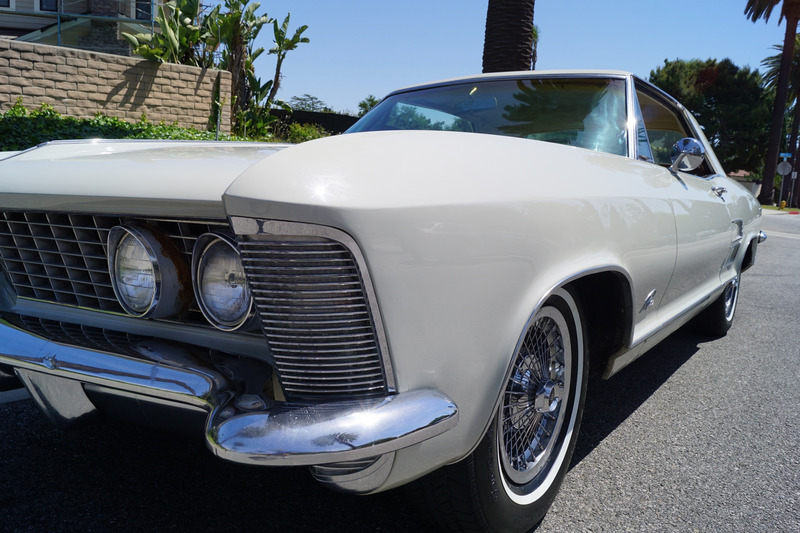 This landmark design would continue for only two years until 1964 before a hidden headlight change in 1965, making these two particular years of 1963/4 the most collectible and desirable and with the original early '63 models holding the lead in collector preference amongst most enthusiasts, but with all these 63-65 model cars boasting 'Milestone Car' status. 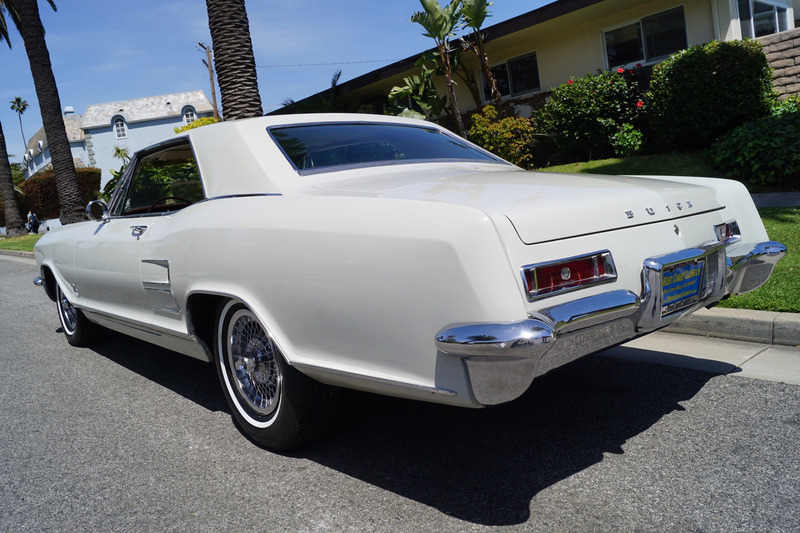 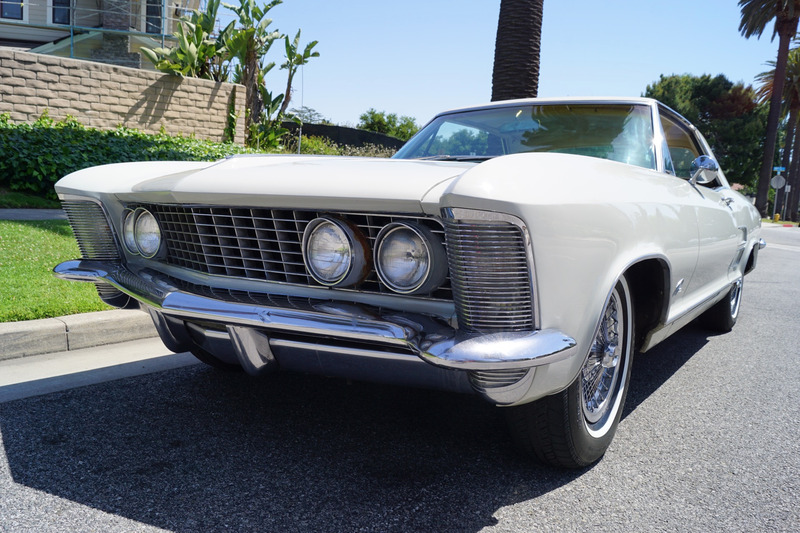 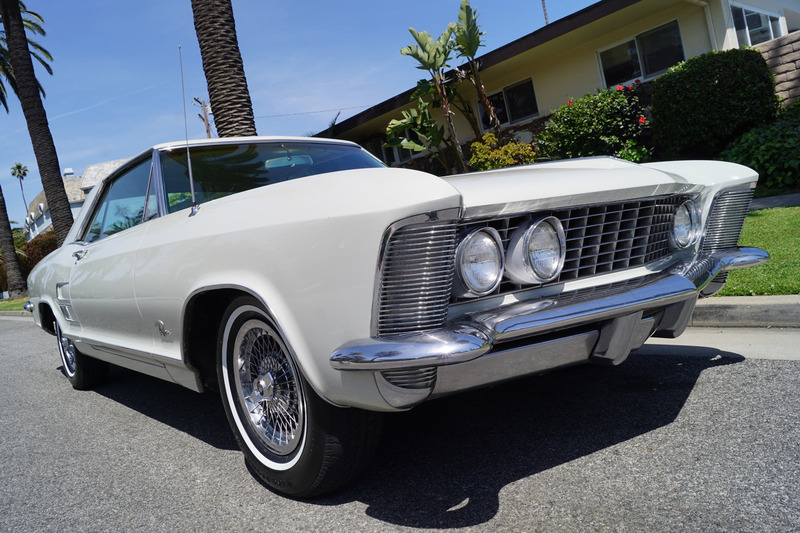 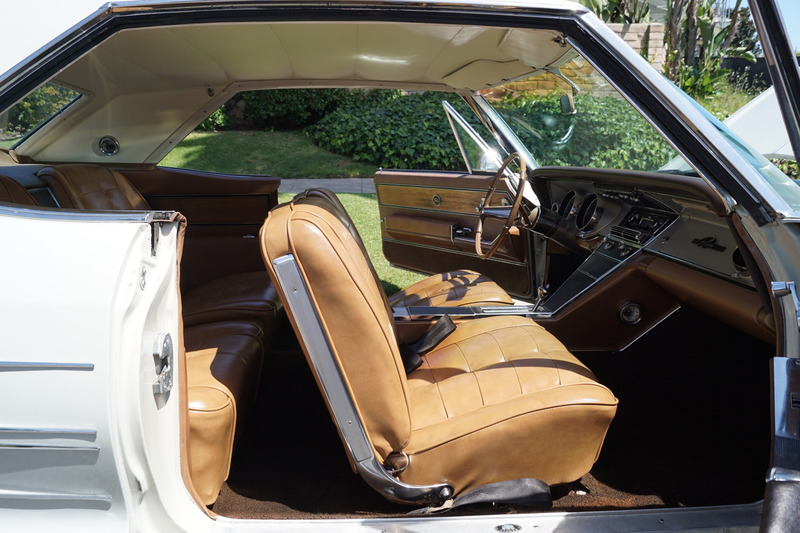 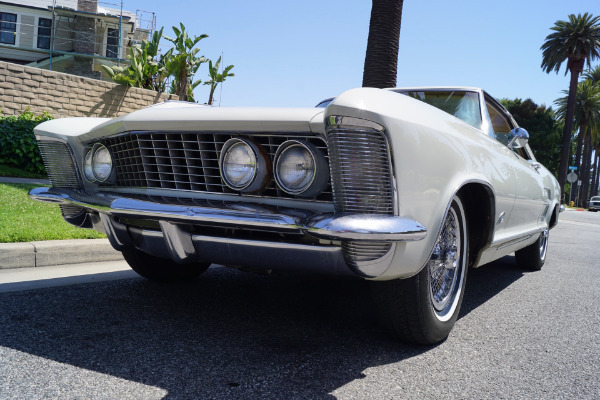 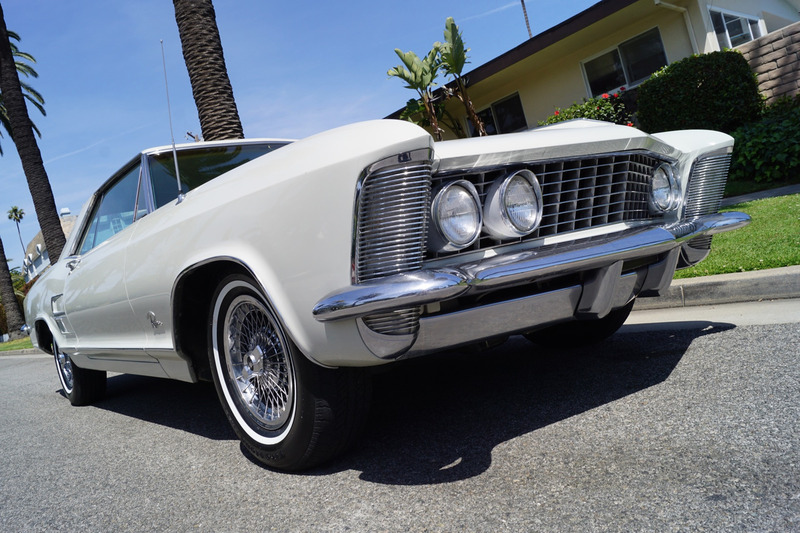 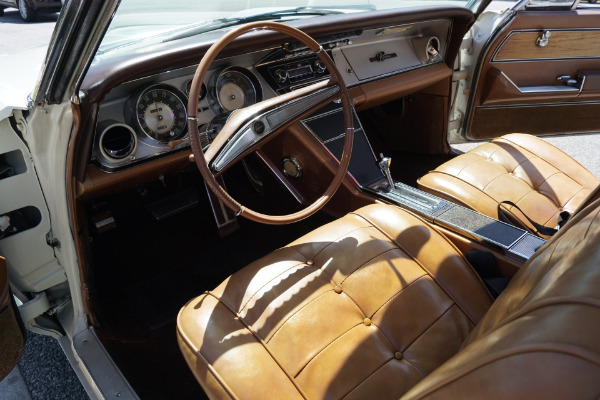 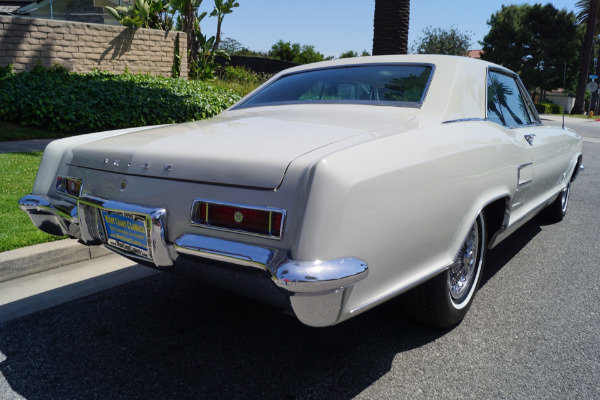 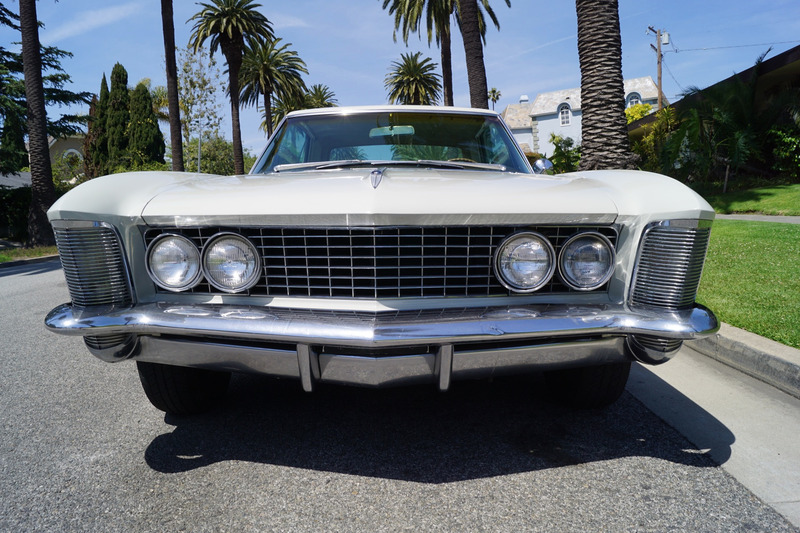 Performance was an important consideration in the personal luxury car market in the early sixties and the Riviera's power source was the 401 cubic inch 'Wildcat 445' V8 engine with 325 horsepower at 4400 rpm. 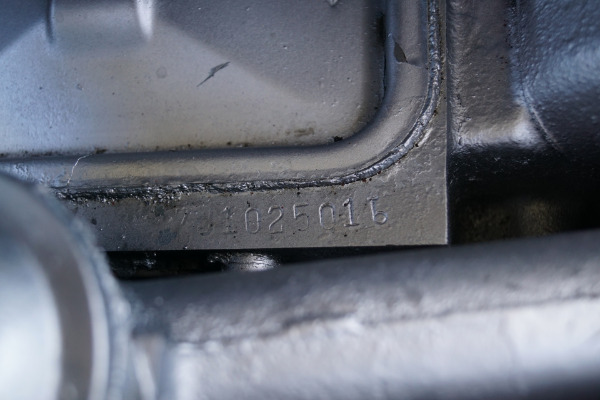 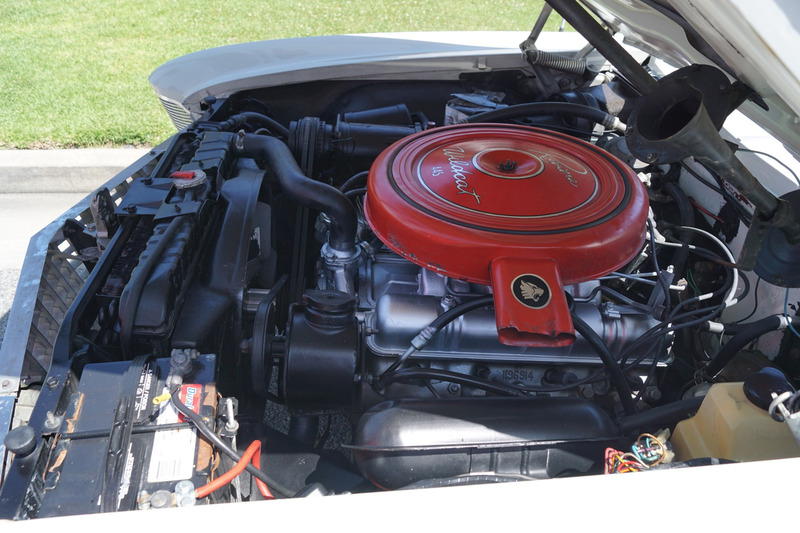 It developed 445 lbs of torque at 2800 rpm, hence the '455' Wildcat script on the air cleaner. 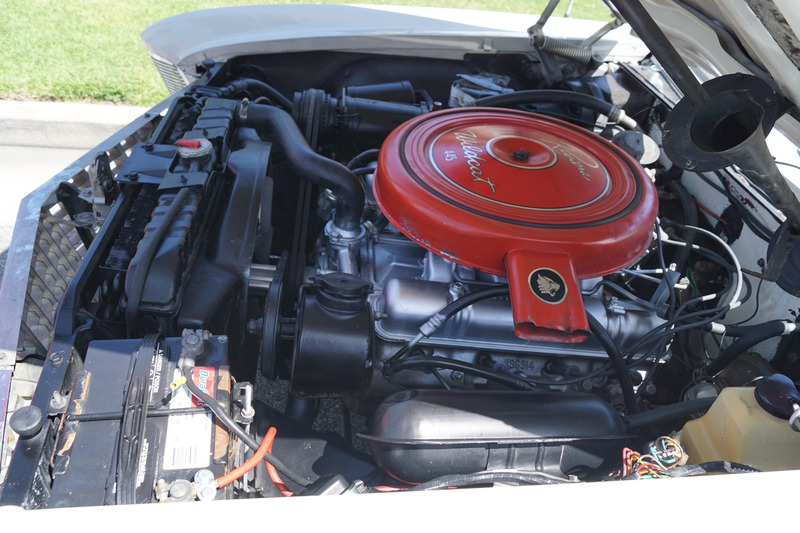 An optional engine bored out 425 cubic inch 'Wildcat 465' produced an impressive 340 horses at 4400 rpm and 465 lbs ft of torque at 2800 rpm. 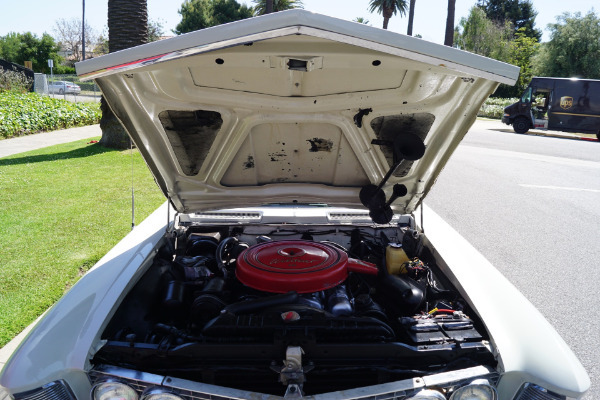 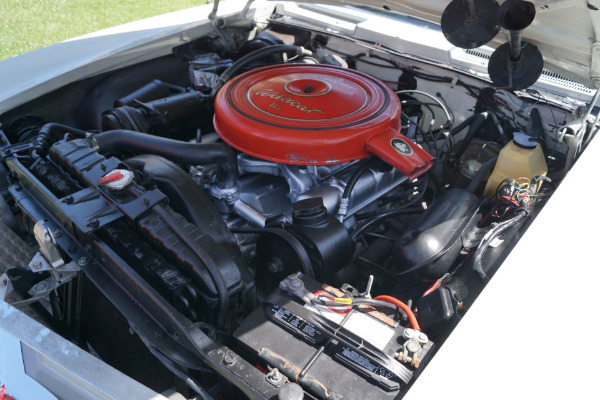 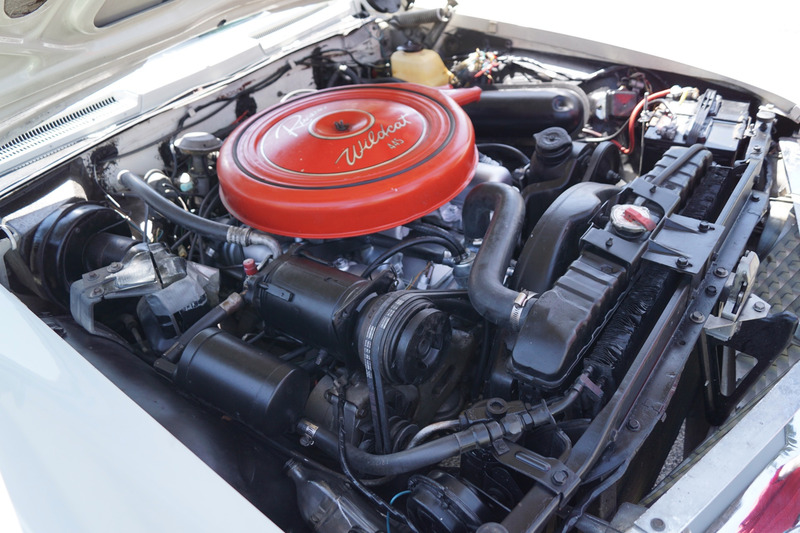 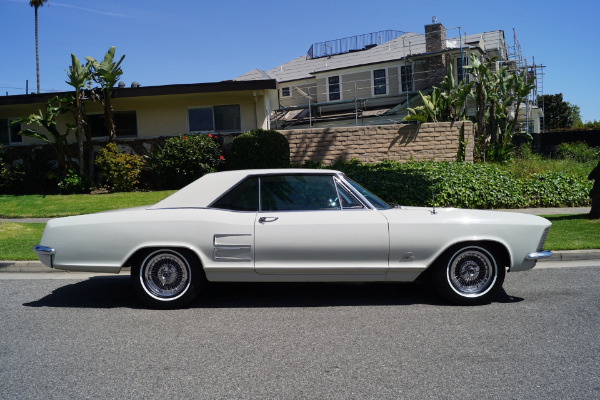 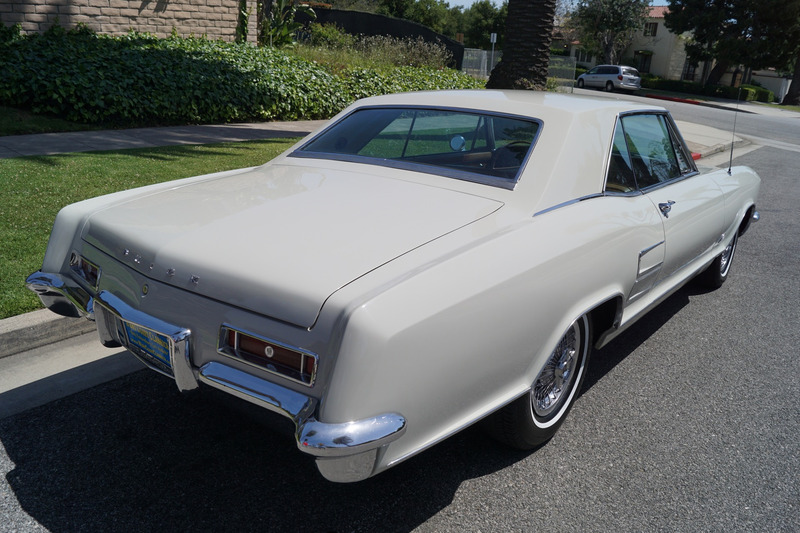 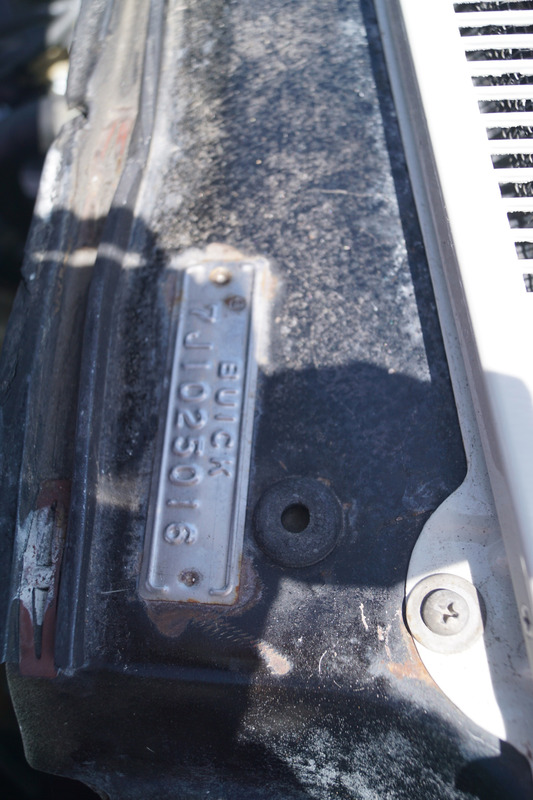 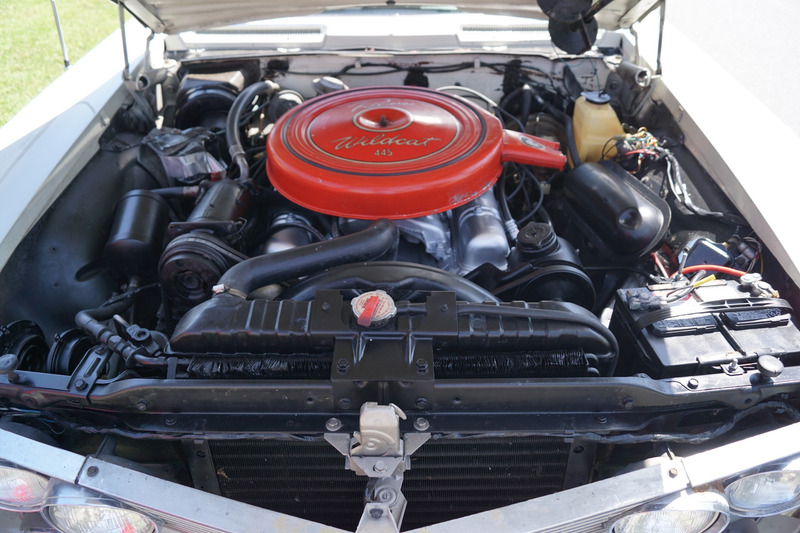 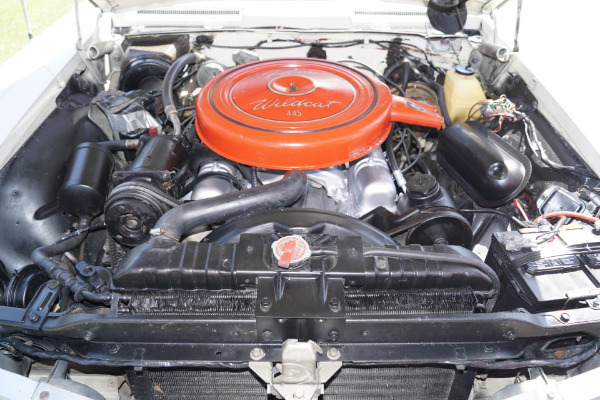 The 1963 engines were painted silver, the only time this color would be used by Buick and they featured an over sized air cleaner painted in 'Wrinkle Red'! 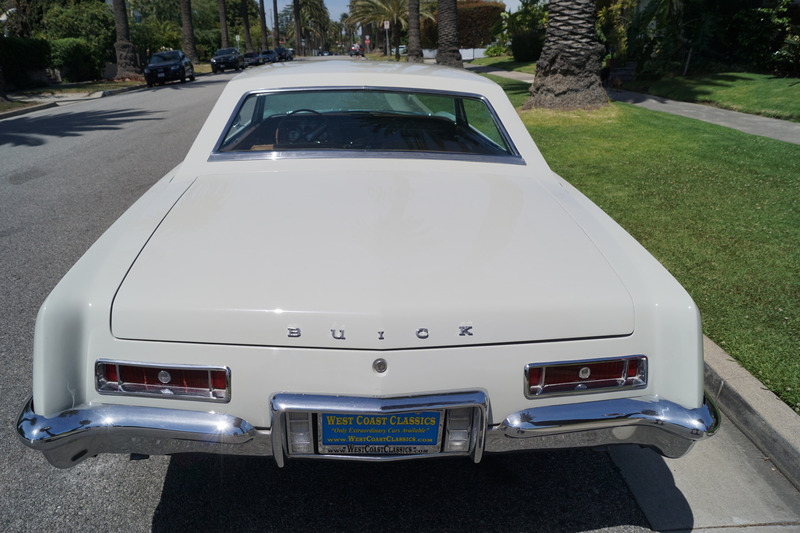 In summary, this is one great very collectible and very rare all American classic car in turn-key ready to enjoy today condition - a mostly all original car with no rust ever and obviously always garaged since new - perfect for the Buick enthusiast and a sure-fire investment that's sure to appreciate over the years for any classic American sixties car collector!